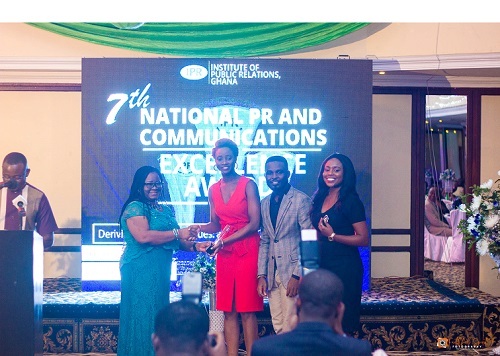 Ogilvy Ghana, PR and advertising company, has won three awards at the 2017 Institute of Public Relations Excellence Awards held at the La-Palm Beach Hotel in Accra. The company beat off competition from 13 others to take home three awards out of four nominations. The awards included PR Campaign of the Year, and Best Community Relations Programme of the Year for the Ghanaians Against Child Abuse (GACA) campaign. The award for Best in Social Media Communications was for work done for Coca-Cola’s Coke Studio Africa. The event, which was on the theme, “Deriving Value from Values: a test for Corporate Governance” brought together various communications and public relations stalwarts. Ogilvy Africa is the largest network agency in Africa with offices in 24 countries and 900 employees across Central, East and West Africa.